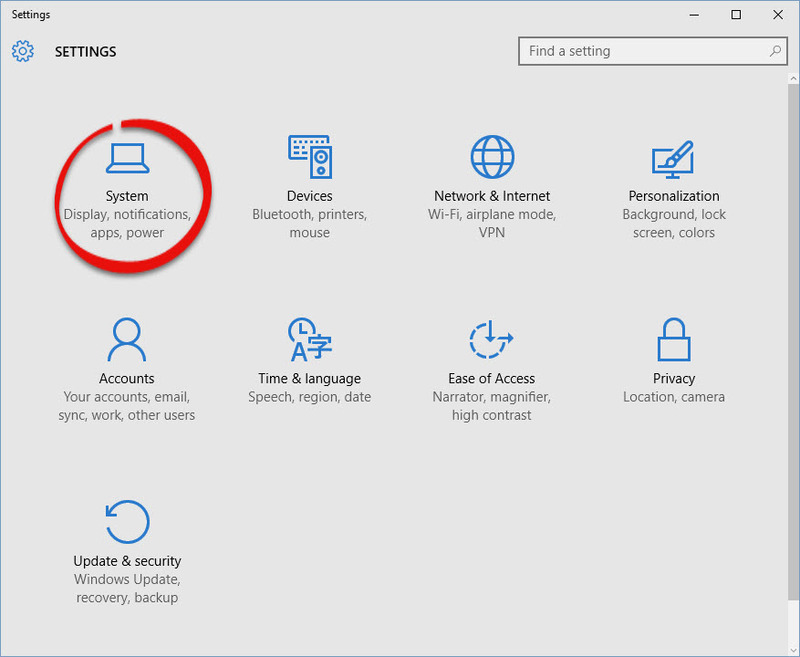 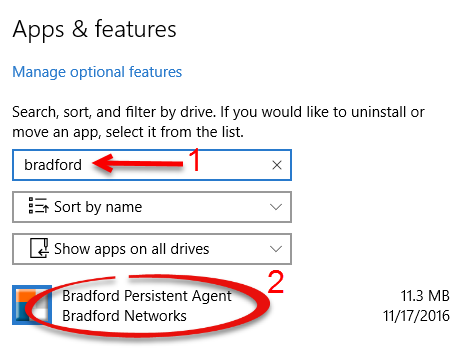 How to uninstall Bradford Persistent Agent on a PC. 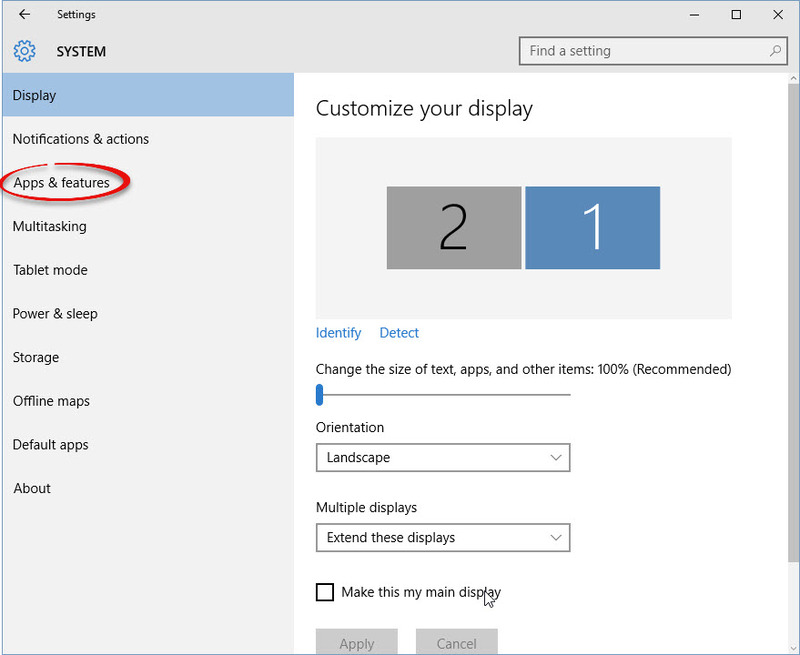 This should be completed after graduation. 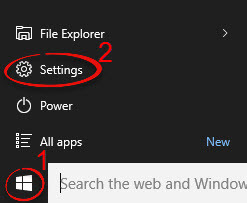 Step 1:Click the Windows button and select Settings. 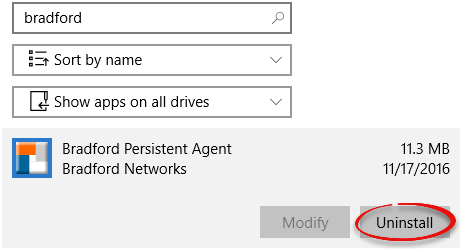 Step 4:Type "bradford" into the search bar and click Bradford Persistent Agent.